What would you do if you woke up tomorrow and your entire business was gone? It’s amazing how many businesses don’t have a proper backup system in place. It’s one of those things that everyone knows they should do, but for some reason it always gets put off until a later date. 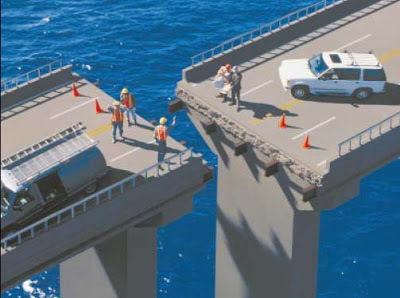 If this is the case with your architecture business, you could be putting your livelihood at risk. Think about what is at stake if something catastrophic were to happen to your digital files; you may be at risk of losing customer data, supplier information, contracts, project files, accounts, and more. Any of these things could be lost in an instant, and in the worst case this could mean a dramatic end to your business. Even if your business wasn’t completely destroyed by the loss of all this data, the cost in terms of time and money to recover everything would be huge. Disaster can strike in many different ways. Computers and servers can crash, iPads can get dropped and broken, offices can be flooded or burned down in a fire. Luckily, the technology available to us today means that there is no reason why any business should lose everything in the event of such disaster. 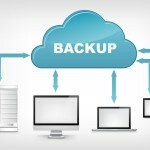 Effective backups are cheaper, faster, and easier than ever before so there’s no reason why any business should be without a failsafe backup plan. To keep your data as safe as possible, it’s important to back it up in at least two different places. This way, if one of your backups fails for some reason, you will still have the other option to fall back on. Depending on the sensitivity and importance of the data you’re copying, you may choose to back it by one or both of the following two methods. Before the days of fast internet speeds and cloud storage, this is how everyone conducted their backups of electronic data (usually overnight, to magnetic tape drives), and it’s still a sensible and cost-effective way of safeguarding your data today. External hard drives can now hold terabytes of data and USB3 technology is speedy enough so that files can be copied from your office computer in minutes. You may also wish to store copies of certain files on USB thumb drives, CDs, DVDs, SD cards and other portable storage. Remember that physical backups are not infallible and can easily become damaged or degrade over time, so make multiple copies of your important files wherever possible. The hardest part about manually backing up is remembering to do it. Pure laziness has been the downfall of many individuals who’ve lost the entire contents of their hard drive because they didn’t make the effort to carry out regular backups. Therefore never rely on yourself do do manual backups — automated software will never forget and once you’ve spent an hour or so setting it up, you can stop worrying about backups for good. Time Machine is installed as standard on Mac OS X and is a good option for Mac users to perform automatic backups at regular intervals. Time Machine will carry out weekly backups and also keeps a month’s worth of daily backups and a day’s worth of hourly backups. Once your drive begins to fill up, Time Machine will automatically delete the older backups and also gives you options to exclude items from backup. Windows users can also take advantage of the backup functionality built into the operating system. This can be done manually or automated to run at regular intervals and backups can be restored easily when needed. Most businesses will need to backup their data at least once a day. There are also various other automatic programs available for Windows that can make the whole process smoother, such as Genie Timeline Backup and Acronis Backup. When backing up to manual media, you should always have at least one backup source that is stored in a separate location to your work computer. Diligently backing everything up to an external hard drive will not be much use if you keep it in a desk drawer and your whole office burns down. If all this is sounding like too much hard work, there’s no need to despair. 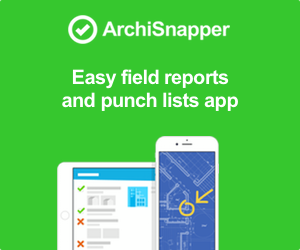 After all, you’re an architect, not a computer technician — isn’t this someone else’s job? Well, yes, or rather it can be if you’re willing to pay for a managed cloud backup service. Backing up to the cloud is not only a great way of making sure your data is saved automatically and in a different physical location for additional safety, but also allows you to access your files from any computer or mobile device, anywhere in the world. The beauty of cloud backup is that once you’ve set it up, you can forget about it and leave the software to do its thing. Most cloud backup software will automatically detect when files are updated and trigger an upload of the new version to the backup server. Cloud storage is generally high security, using climate controlled server farms, and data is usually stored in several different physical locations. Therefore, the risk of your data being lost is minimal. That being said, it’s never a good idea to leave the responsibility for your data solely with someone else, so to be on the safe side, make sure you make your own local backups as well. You’ll obviously need a fast connection to the internet to backup your data online and restoring data from a cloud server can be much slower than recovering files from a local drive. If your internet connection isn’t quite up to the task, you may choose the option of backing up only some of your data such as documents and images online and keeping videos and other large files locally. There are various cloud storage and backup solutions to choose from, depending on the individual requirements of your business. Cloud storage solutions like Dropbox work well for files that you use frequently and need access to from different devices, however as you can only sync your Dropbox folder and not your whole system, it’s not suitable as a complete backup solution. For specialist managed cloud backup services check out Crashplan and Backblaze, which are specially designed to make backing up minimal work for you and make it easy to restore your data when needed. These services are very affordable, both offering unlimited storage for $50 per year, and well worth the investment for peace of mind and the value they’ll provide in the event you need total digital disaster recovery. 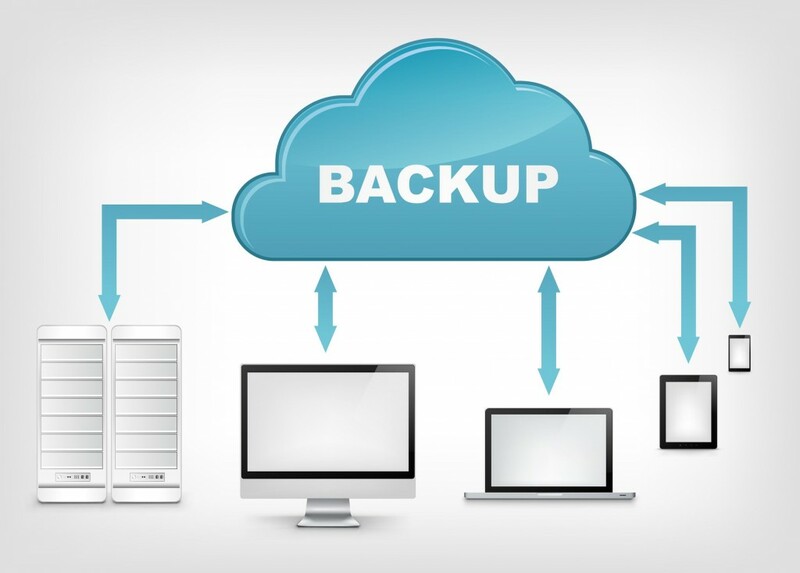 When using cloud backup services, it’s always a good idea to test out the system every couple of months by checking that new files are being uploaded and attempting to restore some data to make everything is working correctly. Privacy and security are sometimes a concern for businesses, along with the possibility that a cloud service could simply go out of business or deny access to your data. A nice feature of Crashplan is that it lets you backup your data to a computer located elsewhere, providing convenient off-site backups for those who don’t fully trust in cloud computing. Smartphones and tablets are more susceptible to damage and theft than computers, especially when used frequently outdoors on building sites, so should always be backed up frequently. Backing up your data via wifi to the cloud is the most practical solution for mobile devices. For iPhones and iPads, you can use iTunes or iCloud to back up your music, apps and books. Google software provides a good alternative to iCloud for Android users, backing up and allowing your email contacts, calendar, documents and app purchases to be available from any device once you log in with your Google account. Dropbox is another useful tool for mobile devices — either iOS or Android. important files can be saved into your Dropbox for backup and accessing on another device and it can be set to automatically sync photos you take on your phone camera to the cloud. Backing up your data is no longer expensive or time consuming, so there’s really no excuse for failing to implement an effective backup plan. If you’re not backing up now, it’s only a matter of time before your hard drive crashes, you drop your iPhone, you spill a coke in your laptop or someone breaks into your office and steals all your hardware. When this happens, you’ll be glad you started backing up today.